The Korean media dubbed Sara Kim the “Genius Girl.” A young math whiz so brilliant that two elite universities, Harvard and Stanford, offered her dual admissions. Her father, an exec at Korean game company Nexon, must have been proud! Other people, however, were suspicious. Update: 6/12/16 - 4:00am. We’ve now also been able to directly confirm that this was all a hoax. Earlier this month, South Korean media reported how 18-year-old Sara (Jung Yoon) Kim, a student at Thomas Jefferson High School for Science and Technology in Virginia, was such an impressive student that both Harvard and Stanford were willing to let her do her undergraduate course work at both schools. Kim initially opted for Harvard, but Stanford wanted her too and struck a deal with Harvard to create a unique program for her. She will study at Stanford during her freshman and sophomore years and then at Harvard for her junior and senior years. She can then choose from which school she takes her bachelor’s degree. A joint-admissions program like that for undergrads is highly unusual, especially at universities that turn down smart kids all the time. The article goes on to say how her father, Kim Jung-wook, is the managing director of Nexon Korea, a company famous for its free-to-play and mobile games. This story was circulated all over in South Korea, appearing on the evening news. In an interview, Kim said she talked to Mark Zuckerberg on the phone and that he wanted her to come to Facebook. Today, Yonhap News (via tipster Sang), South Korea’s largest news agency, reports that both Harvard and Stanford have denied the joint-admission program and said that the alleged admission letters were fakes. Kim’s family had previously presented the letters to reporters as proof of her unique study opportunity. “Despite recent media reports, there is no program in existence through which a student is admitted to spend two years at Harvard College and two years at Stanford University,” Anna Cowenhoven, a Harvard Public Affairs and Communications official, told Yonhap News. “We have been made aware of an alleged admissions letter sent to Ms. Jung Yoon (Sara) Kim by Harvard University. We can confirm that this letter is a forgery,” Cowenhoven added. 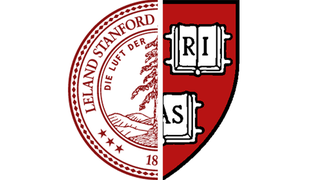 Stanford University’s senior communications official Lisa Lapin also debunked the admissions, telling Yonhap News, “I am confirming that the letter you received was NOT issued by Richard Shaw or Stanford University.” Shaw is Stanford’s dean of admission and financial aid. Update: 6/12/16 - 4:00am. Harvard and Stanford also confirmed this to Kotaku. Here is the following letter, which is dated April 1. Heh. Chosun.com, which ran the original story, received similar denials from both Harvard and Stanford in a follow-up report published today. In this latest update, Kim allegedly still says she is not lying and is sticking with her story that she has been accepted into both universities. According to Yonhap News, Kim senior said the allegations that this is a hoax could be due to a misunderstanding. His daughter’s situation is unique, and it’s only been discussed between professors at Harvard and Stanford. The gaming exec said he will move forward with this issue via an attorney. While reporting this story, Chosun.com today writes it received an email on Monday signed by Harvard Public Affairs and Communications official Anna Cowenhoven, stating that Sara Kim had been accepted by the Ivy League university. The following day, Cowenhoven told the paper that the email was also a forgery. Update: 6/12/16 - 4:00am. Korean news site Daum (via tipster Sang) is reporting that Kim’s father has since sent out an email saying everything was not true and apologizes for all the trouble this has caused. Kotaku reached out to Nexon prior to publication for comment, but the company declined to comment.